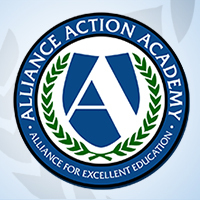 WASHINGTON, DC—Of the nearly 100 different types of high school diplomas that are awarded across all fifty states and the District of Columbia, less than half prepare students for success in college and a career, according to a new report released today by the Alliance for Excellent Education. And while the national high school graduation rate is at an all-time high, the rate at which students earn these college- and career-ready (CCR) diplomas is substantially lower, especially among students from low-income families, students of color, and other traditionally underserved students. Findings from the report were presented during a July 27 webinar. Archived video from the webinar is available at https://all4ed.org/webinar-event/july-27-2017/. The Alliance report, Paper Thin? Why All High School Diplomas Are Not Created Equal, provides a state-by-state analysis of the different types of diplomas that states awarded to the Class of 2014 and evaluates whether each adequately prepares its recipient for college and a career. According to the report, twenty-three states had multiple diploma options. Of those, only nine (Arkansas, California, Indiana, Maryland, Massachusetts, Nevada, New York, Texas, and Virginia) offered at least one CCR diploma and tracked which students were earning which diploma. Based on data from these nine states, the Alliance report finds drastic differences between state-reported high school graduation rates and the percentage of students earning a CCR diploma. For example, Nevada posted a 70 percent high school graduation rate for the Class of 2014, but only 29.8 percent of graduates earned a CCR diploma. Traditionally underserved students are less likely to graduate with a CCR diploma than their peers, the report finds. A lesson on how to close gaps for traditionally underserved students comes from Arkansas, Indiana, and Texas, all of which require all students to pursue a CCR diploma. In these states, the gaps between the percentage of white students and traditionally underserved students who earn a CCR diploma were smaller. In Texas, for example, 86.1 percent of white students and 85.7 percent of Latino students earned a CCR diploma—a difference of only 0.4 percentage points. In Maryland, which offers a CCR diploma but does not require students to pursue it, the CCR gap between white students and African American students was more than 22 percentage points. Among different student subgroups, gaps in earning CCR diplomas were largest for African American students, which reached as high as 33.9 percentage points, and students with disabilities, which was as high as 63.1 percentage points. The report is careful to note that it is limited to state-level data. Because districts can set higher requirements for high school graduation than the state, the CCR graduation rates included in the report may undercount the actual percentage of students who graduate having met CCR standards. However, since few states track district high school graduation requirements, there is no way to know the degree to which districts are setting higher requirements than states. The report conducts a deep dive in Indiana, which has been a leader in aligning high school graduation requirements to college and workforce expectations. Unlike most states, Indiana tracks high school graduation rates by diploma type, provides publicly available data on which students are earning which diploma, and reports the postsecondary outcomes of its graduates by diploma type. As shown in the table below, only 4 percent of Indiana high school graduates who earned the most rigorous diplomas—the Core 40 Honors—needed remediation in college, compared to 59 percent who earned the general diploma. Additionally, 92 percent of the Core 40 Honors diploma recipients enrolled in college, compared to only 24 percent who earned the general diploma. “When states do not require students to complete a CCR diploma at minimum, student outcomes are more likely to reflect outcomes seen among Indiana’s General Diploma graduates,” the report notes. In a webinar this afternoon, Patrick McAlister, director of policy at the Indiana Department of Education, will discuss his state’s approach. He will be joined by report author, Monica Almond, senior associate of policy development and government relations at the Alliance for Excellent Education; Jeanne Fauci, executive director of the Center for Powerful Public Schools; Valerie Wilson, director of program on race, ethnicity, and the economy at the Economic Policy Institute; and Gov. Wise. More information on the webinar is available at https://all4ed.org/webinar-event/july-27-2017/. States with CCR diplomas should make the CCR diploma the default diploma for all students. States, school districts, and individual middle and high schools with multiple diploma options should track and publicly report the percentage of students earning each type of diploma and break out the data by student subgroup (low-income, African American, Latino, special education, etc.). Such data will enable parents and the public to see which diploma options best prepare students for postsecondary education. School districts and middle and high schools should educate parents and students about the long-term postsecondary outcomes of students who select less rigorous diploma options. Paper Thin? Why All High School Diplomas Are Not Created Equal is available at https://all4ed.org/DiplomaPathways/. To register for this afternoon’s webinar, visit https://all4ed.org/webinar-event/july-27-2017/.